There are 3 videos in this series and they have statements by 150 academics and scientists and I hope to respond to all of them. Wikipedia notes Lewis Wolpert CBE FRS FRSL FMedSci (born 19 October 1929) is South African-born British developmental biologist, author, and broadcaster. Wolpert was born into a South African Jewish family. He was educated at the University of Witwatersrand (BSc), at Imperial College London, and at King’s College London (PhD). As of 2010 he holds the position of Emeritus Professor of Biology as applied to Medicine in the Department of Anatomy and developmental biology at University College London….In addition to his scientific and research publications, he has written about his own experience of clinical depression in Malignant Sadness: The Anatomy of Depression (1999). He presented three television programmes based on the book and entitled A Living Hell on BBC2. He was made a Fellow of the Royal Society in 1980 and awarded the CBE in 1990. He became a Fellow of the Royal Society of Literature in 1999 and one of the first Fellows of the Academy of Medical Sciences in 1998. He serves as a Vice-President of the British Humanist Association. In the second video below in the 64th clip in this series are his words and my response is below them. I am not against people being religious. I think it helps you a great deal. I am against religion when it interferes in the lives of other people…If you believe for example that the fertilized egg is really a human being which some people in your religious organizations believe then I am very hostile to you because it is nonsense and this is one of my subjects developmental biology or if you are against contraception for religious reason then therefore AIDS can become more common. So I am not against people having a belief in God. I do believe that believe is false. Whatever arguments I give you I have no delusion that I will persuade you to change your minds. Let me give three examples and then I want to move on to what Dr. Wolpert’s real issue is. First, I will give the example of a former abortionist and an atheist at the time who gave up his lucrative business because of the advance of medical technology. Second, I will tell the story of a personal friend of mine who is a pro-life atheist named Dr. Kevin Henke. Third, I will list the evidence from 4 non christians who are experts in the area of genetics. 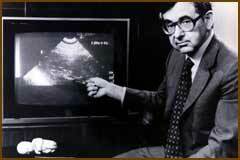 Abortionist Bernard Nathanson said it was the technology of the ultra-sound that caused him to shut down his abortion clinics since he released that these unborn babies were feeling pain. At the time Dr. Nathanson was a confirmed atheist. In his book he noted, “I worked hard to make abortion legal, affordable, and available on demand. In 1968, I was one of the three founders of the National Abortion Rights Action League. I ran the largest abortion clinic …and oversaw tens of thousands of abortions. I have performed thousands myself.” p. 5. I was speaking at pro-life meetings around the country on weekends, and the response to the tape was so intense and dramatic that finally I was approached by a man named Don Smith, who wanted to make my tape into a film. I agreed that it would be a good idea. That is how The Silent Scream, which generated so much furor, came to be made. We showed it for the first time in Fort Lauderdale, Florida, on January 3, 1985. The reaction was instantaneous. Everybody was up in arms because The Silent Scream represented an enormous threat to the abortion forces and because it escalated the war (it’s not really a debate–we don’t debate each other; we scream at one another). For the first time, we had the technology and they had nothing. p.141 Emphasis mine. Back on April 27, 2009 Fox News ran a story by Hollie McKay(“Supermodel Kathy Ireland Lashes Out Against Pro Choice,”) on Jill Ireland. What is the real problem that Dr. Lewis Wolpert has? Unlike others who have examined the evidence he just outright dismisses it. I sent Dr. Wolpert a letter that included many scriptures from the Old Testament that showed that the prophets predicted the Jews would be brought back from all over the world to rebirth the country of Israel again. Peter S. Williams (MA, MPhil) is Assistant Professor in Communication and Worldviews at Gimlekollen School of Journalism and Communication in Norway, and is philosopher in residence at theDamaris Trust. He is author of many articles and several books, including C.S. Lewis vs the New Atheists (Paternoster, 2013) & A Faithful Guide to Philosophy (Paternoster, 2013). His website iswww.peterswilliams.com. There are, then, a number of serious problems with Wolpert’s use of the ‘Insufficient Evidence’ claim to justify a default ‘presumption of atheism’. Despite these problems, the ‘Insufficient Evidence’ objection to theism is widely used by contemporary atheists. A 1998 survey of 1,700 American skeptics conducted by Skeptics Society director Michael Shermer and MIT social scientist Frank Sulloway showed that 37.9% of non-theistic skeptics said they didn’t believe in God because there is no proof. The 2005 Dare to Engage Questionnaire, which surveyed nearly five hundred fifteen-to-eighteen-year-old students, found that among self-designated atheists (20% of respondents) who took the opportunity to give an explanation of their disbelief, the third most popular response (given by 13% of those giving a reason for their atheism) was that there is a pervasive lack of evidence for God. However, questioning the claim that there is insufficient evidence for God’s existence is not the only way of responding to Wolpert’s objection. Many philosophers question the assumption that it is necessarily irrational to believe in God in the absence of evidential justification. After all, there are plenty of other beliefs about reality that appear to be rational despite the complete absence of evidential justification (e.g. the belief that the world is not a computer simulation as in the film The Matrix). In addition, the demand for evidence can neither be fulfilledad infinitum (i.e. it is impossible to justify all our beliefs) nor can it be consistently applied to itself (what evidential justification is there for the belief that all beliefs must have evidential justification in order to be rational?). Sam Harris is another prominent atheist who, like Wolpert, condemns theists for adhering to a belief without any evidential basis: ‘While believing strongly, without evidence, is considered a mark of madness or stupidity in any other area of our lives, faith in God still holds immense prestige in our society.’30 Harris makes two mistakes in the space of this sentence. On the one hand, few theists would concede Harris’s assumption that their belief in God is predicated upon an absence of evidence. On the other hand, evidence is not always necessary for rational belief. Contrary to Harris’s statement, believing strongly without evidence is, in fact, considered a mark of rationality and common sense in many areas of life. For example, seriously doubting that the universe is older than five minutes old would rightly be considered a mark of madness or stupidity by most people. But the belief that the universe is older than this, rather than having been created five minutes ago complete with every empirical appearance of greater age (a belief held by Harris), must by the very nature of the case be accepted without evidential support. Hence, ‘being rational’ and ‘having evidential support’ cannot be one and the same thing. It is all well and good to demand that people hold all their beliefs rationally (for example, we shouldn’t pick our beliefs at random and we shouldn’t hold them in the face of overwhelming counter-evidence), but there is little sense in demanding that people hold all their beliefs on the basis of evidence. Without rejecting the claim that there are good arguments for belief in God, it can be cogently argued that belief in God can be rational without being based upon arguments for his existence. As Alan G. Padgett writes, ‘belief in God can be and often is perfectly legitimate and proper without any philosophical arguments. In other words, Christian faith does not depend upon the practice of philosophy (specifically natural theology) but rather upon more direct, immediate, and spiritual sources of the knowledge of God.’36 Such ‘properly basic’ belief in God is not a matter of ‘blind faith’, since it is not the result of simply picking a belief out of the air and since it remains sensitive to the need to defend belief against evidential challenges. William Lane Craig attempted to point out this defect in the ‘Insufficient Evidence’ argument to Professor Wolpert before their recent debate on the existence of God in London, but without success. In a mini debate between William Lane Craig and Lewis Wolpert held on BBC Radio 4 prior to their lengthier public encounter on the subject of God’s existence, Wolpert simply failed to understand Craig’s philosophical points about the ‘Insufficient Evidence’ objection. Having said that he thinks there is evidence for God (Craig mentions the Kalam cosmological argument, the moral argument and the fine tuning design argument), Craig challenged Wolpert’s assumption that one must have evidence for God in order to rationally believe in God. Craig points to the existence of these ‘properly basic beliefs’ which are rational to hold but which are not justified on the basis of other beliefs. Despite Craig explaining, with the use of several analogies, that without properly basic beliefs humans could not rationally believe anything (because we would have to have an infinite regress of evidence for all our beliefs), Wolpert revealed that he just didn’t get the point by simply repeating the same ‘Insufficient Evidence’ objection. Far from incidentally, the same point about infinite regress and explanation came into play when Craig answered Wolpert’s use of the ‘Who designed the designer?’ objection to the design argument (an objection beloved by Richard Dawkins in The God Delusion). Craig pointed out that for an explanation of some set of data to be rational, one need not have an explanation of the explanation. If one did need one, explanation would be impossible because to explain anything would invoke an infinite regress, in which case science would be impossible. Hence Wolpert’s use of the ‘explain that explanation’ demand is rather ironic! Craig: God exists, here is the evidence. Wolpert: God doesn’t exist, there is no evidence. Wolpert: God doesn’t exist, who made God? Craig: God does exist, he is an uncaused eternal being. Here is the evidence. Wolpert: God doesn’t exist. He hasn’t done anything in the last 2,000 years. Craig: That’s chronological snobbery. You don’t tell the time with an argument; you don’t tell if an argument is true or false, or if evidence is good or bad with a watch. Wolpert: God doesn’t exist. We believe because we have a notion of cause and effect. This leads to toolmaking, and also to belief in God. Craig: That’s the genetic fallacy. To confuse the origin of a belief with its truth or falsity. You need to deal with the arguments and evidence that I have presented. Wolpert: God doesn’t exist. There is no evidence. Who made God? Craig: Here is the evidence. God is an uncaused being. God does exist. Wolpert: God doesn’t exist. There is no evidence. You might assume that a debate between someone like Craig and someone like Wolpert – a Jew who lost his faith when he was 15 – would produce a riveting intellectual knockabout at least, and a profound discussion of whether God is delusion or reality at best. Sadly it didn’t work out like that. They might as well have been talking in different languages. God created the universe. The proof lies in the premise that whatever begins to exist has a cause. The universe began to exist; therefore it has a cause. It was brought into existence by something which is greater than (and beyond) it. And that something was a ‘personal being’. God ‘fine tunes’ the universe … There is no other logical explanation for the way things operate. Without God there can be no set of [objective] moral values. 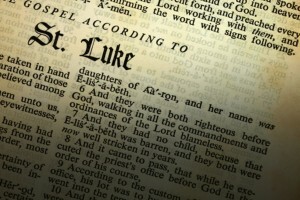 The ‘historical facts’ of the life of Jesus prove the basis for Christianity. God can be known and experienced [in a properly basic manner]. Wolpert’s defence of atheism consisted of a few irrelevant, invalid arguments against the rationality of belief in God’s existence on the one hand (instances of chronological snobbery and the genetic fallacy respectively) and a total failure to interact with the purported evidence for God on the other hand – apparently on the grounds ‘that there is no evidence’ with which to interact! Given Craig’s use of theKalam cosmological argument, it is interesting to note that Wolpert candidly admits he has no alternative explanation for the Big Bang: ‘And then, of course, there’s the whole problem of where the universe itself came from. And that is a great mystery. Big bang, big schmang! How did that all happen? I haven’t got a clue.’39 How can someone who makes such repeated use of the ‘Insufficient Evidence’ objection fail so totally to even ‘deal with the argument and evidence’ presented by Craig? The answer to this question recently became clear in an interview between Wolpert and another Christian philosopher. Ward: What sort of evidence would count for you? Would it have to be scientific evidence of some sort? Wolpert: Well, no… I think I read somewhere: If he turned the pond on Hamstead Heath into good champagne, it would be quite impressive. Ward: A miracle would be sufficient? Ward: It’s one of his worst arguments, in my view. Wolpert justifies his atheism by complaining that there is no evidence for the existence of God. So what sort of evidence would he accept? Would he accept scientific evidence? On Humean grounds (grounds that are widely accepted by contemporary philosophers to be defunct), he would not. Later in the same interview Ward asked Wolpert whether (in principle) there could be evidence of providence in history? Wolpert replied that there ‘absolutely [could] not’42 be any such evidence. Wolpert seems to include the evidence of religious experience among purported scientific evidence for God, because having provided a standard explanation of such experience in terms of evolutionary psychology (and despite admitting ‘I don’t have a good explanation, to be quite honest’43 for why he himself has escaped the evolutionary pressure to believe), Wolpert feels that he can dismiss all such experiences as delusional (an unsurprising move for someone who is a self-confessed ‘reductionist and a materialist’44). If Wolpert rules out scientific evidence for theism, will he accept philosophical evidence? He will not, because he is ‘big against philosophy’ (although he will embrace a double standard in order to allow Hume into the fold, to shore it up against scientific evidence for deity). Wolpert’s complaint is ultimately not that there is insufficient evidence for theism. Rather it is that since the possibility of there being sound evidence for theism would require materialism to be false, and since materialism is true, there can’t possibly be any sound evidence for theism. In other words Wolpert doesn’t merely think that there isn’t any evidence for God, he thinks that there can’t be any evidence for God. These are significantly different claims, and so it is not a trivial matter when Wolpert substitutes one for the other. There would be nothing wrong with taking this approach if Wolpert provided arguments purporting to show that materialism is true (or at least that theism is false), if he was prepared to enter into philosophical debate concerning the soundness of those arguments, and if he was prepared to extend the same courtesy to the theistic arguments of academics like Craig or Ward. Unfortunately Wolpert does not appear to be interested in fulfilling any of these conditions. He simply repeats the mantra that there is no evidence for God. Like doubting Thomas, Lewis Wolpert says ‘I will not believe unless I see’ – but unlike Thomas he keeps his eyes resolutely shut. Wolpert: I’m afraid I would have to say that, yes. Ward: So, even though you find it ‘miraculous’, you think we must account for the emergence of life purely in terms of random mutation and natural selection? Wolpert: That’s the line we must pursue, yes. In other words, Wolpert believes that the inherent capacities of the natural world (putting aside the cosmological question of why there is a natural world in the first place) must account for – and therefore must be capable of accounting for – both the origin and diverse nature of life on Earth. And this conclusion is philosophically deduced (not scientifically inferred) from the assumption that God could not possibly feature in the true account of these matters – presumably because Wolpert believes that there is no God. Once again Wolpert closes his eyes to the possibility of evidence pointing towards God’s existence by simply assuming that God does not exist! Once again, Wolpert’s use of the ‘Insufficient Evidence’ objection to belief in God is exposed as a rhetorical facade hiding a circular argument. ‘I am going to confront you with evidence before the Lord’ (1 Samuel 12:7). Atheists, agnostics and theists alike should avoid Lewis Wolpert’s narrow-minded approach to the question of God’s existence, an approach that amounts to saying, ‘My mind is made up, don’t confuse me with the evidence.’ We all have our own personal default position on the subject of God’s existence, but we owe it to each other and to ourselves (and perhaps we even owe it to God) to take the alternatives seriously enough to decry blind faith. John Humphrys, ‘The Return of God?’. Lewis Wolpert, ‘The Hard Cell’, Third Way, March 2007, p. 16. Wolpert, ‘The Hard Cell’, p. 17. William Rowe ‘Reflections on the Craig-Flew Debate’ in Stan W. Wallace (ed. ),Does God Exist? The Craig-Flew Debate, (London: Ashgate, 2003) pp. 70–71. Paul Copan, ‘The Presumptuousness of Atheism’. Kai Nielsen, Reason and Practice, (New York: Harper and Row, 1971) pp. 143–44. Robert A. Harris, The Integration of Faith and Learning: A Worldview Approach, (Eugene: Cascade, 2004) p. 83. Richard Norman, On Humanism, (Routledge, 2004) p. 16.
 cf. Peter S. Williams, ‘A Change of Mind for Antony Flew’. Antony Flew, The Presumption of Atheism, (London: Pemberton, 1976) p. 14. Copan, ‘The Presumptuousness of Atheism’. Scott A. Shalkowski, ‘Atheological Apologetics’ in R. Douglas Geivett and Brendan Sweetman (eds. ), Contemporary Perspectives on Religious Epistemology, (Oxford, 1992) p. 63. Steven Lovell, ‘Evidence and Atheism’ (apparently no longer online). Richard Dawkins, ‘Richard Dawkins: You Ask The Questions Special’, The Independent, 5 December 2006. H.L. Mencken, quoted by Alistair Cooke. Piers Benn, ‘Is Atheism A Faith Position?’, Think, 13, summer 2006, p. 27. Thomas Nagel, ‘The Fear of Religion’, New Republic, 23 October 2006; H. Allen Orr, ‘A Mission to Convert’, New York Review of Books; Alvin Plantinga, ‘The Dawkins Confusion’; Richard Swinburne, ‘Response to Richard Dawkins’s Criticisms in The God Delusion‘; Peter S. Williams, ‘The Big Bad Wolf, Theism and the Foundations of Intelligent Design: A Review of Richard Dawkins’ The God Delusion‘; ‘Who’s Afraid of the Big Bad Wolf? Dawkins’ Failed Rebuttal of Natural Theology’; ‘Peter S. Williams Discusses The God Delusion‘; ‘The God DelusionDeconstructed – Southampton University’. Richard Dawkins, The God Delusion, (London: Bantam Press, 2006) p. 2. Dawkins, The God Delusion, p. 59. Richard Dawkins, The Blind Watchmaker, (Penguin, 1990) Preface, p. x.
 Paul Kurtz and Edwin H. Wilson, Humanist Manifesto II (1973) (my italics). cf. Art Lindsley, ‘C.S. Lewis on Chronological Snobbery’. Kai Nielsen, ‘Naturalistic explanations of theistic belief’, A Companion to the Philosophy of Religion, p. 403. Nielsen, ‘Naturalistic explanations of theistic belief’. William Lane Craig, ‘The Evidence for Christianity’. On Kant, see Norman L. Geisler, Christian Apologetics, (Baker, 1976). cf: R. Douglas Geivett and Gary R. Habermas (eds. ), In Defence of Miracles, (Apollos, 1997); James F. Sennett and Douglas Groothuis (eds. ), In Defence of Natural Theology: A Post-Humean Assessment, (Downers Grove: IVP, 2005); Richard Swinburne, ‘The Argument from Design’ in R. Douglas Geivett and Brendan Sweetman (eds. ), Contemporary Perspectives on Religious Epistemology, (Oxford University Press, 1992); Charles Taliaferro and Anders Hendrickson, ‘Hume’s Racism and His Case Against the Miraculous’, Philosophia Christi, Volume 4, Number 2, 2002; Peter S. Williams, ‘Design and the Humean Touchstone’. James F. Sennett & Douglas Groothuis, editors of In Defence of Natural Theology: A Post-Humean Assessment, (IVP, 2005) p. 15. Robert C. Koons, ‘Science and Theism: Concord, not Conflict’, in Paul Copan & Paul K. Moser (eds. ), The Rationality of Theism, (London: Routledge, 2003) p. 73. Sam Harris, Letter to a Christian Nation, (Bantam, 2007) p. 67. Harris, Letter to a Christian Nation, p. 51. John O’Leary-Hawthorne, ‘Arguments for Atheism’ in Michael J. Murray (ed. ),Reason for the Hope Within, (Eerdmans, 1999) p. 124. Kelly James Clark, Return to Reason, (Eerdmans, 1998) p. 130. Clark, Return to Reason, p. 129. Roy Clouser, Knowing with the heart, (IVP, 1999) pp. 68–71. Alan G. Padgett, ‘The Relationship Between Theology and Philosophy’, James K. Beilby (ed. ), For Faith and Clarity, (Baker, 2006) p. 39. Tom Price, ‘Craig vs. Wolpert’. Wolpert, ‘The Hard Cell’, p. 18. Wolpert, ‘The Hard Cell’, p. 16.